This poster focuses on the invention of the automobile. It is a part of a twelve-poster series that demonstrates how science has a profound impact on the world and the evolution of our society and civilization. The poster features a drawing of the first gas-powered automobile -- a three-wheeled carriage with a gas engine attached, built in 1885. 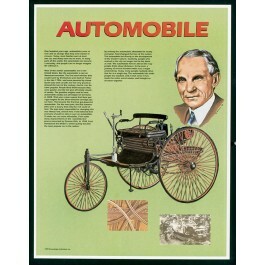 It also shows a picture of Henry Ford, the man most responsible for making automobiles available to the masses. 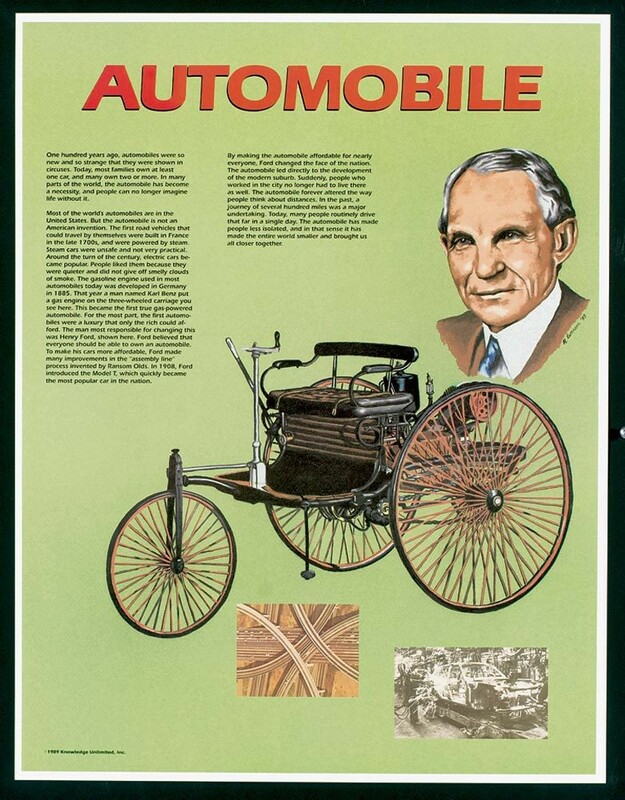 The poster includes text explaining the development of the automobile and its impact on our world.